Home>Cardiology>Do you have a predisposition to hypertension? Do you have a predisposition to hypertension? Only half of those who suffer from hypertension,He knows about his illness. But latent hypertension can lead to heart attack and stroke! 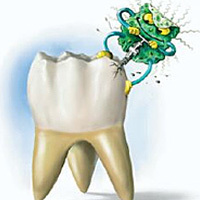 But if you take the necessary measures in a timely manner, of dangerous diseases can be avoided. Do not let the disease to catch themselves by surprise. The first symptoms of hypertensive disease mayoccur after 30. It can be a headache in the morning in the neck, tinnitus, dizziness, nausea, nosebleeds, insomnia, "flies" and the mist before his eyes. It may disturb a pain in the heart, under the shoulder blade, in the chest in the fingers. 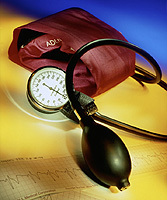 Unfortunately, hypertension often does not manifest. Learn about the disease can only be regularly measuring the pressure! Increased pressure is considered to be more than 140/90 mm Hg. Art. But this leap does not necessarily indicate disease, because at different times of day and under the influence of various factors (emotional distress, physical and sexual activity, alcohol intake) performance may vary significantly. Much more important is how quickly after raising the pressure comes back to normal. Normally, it should not take more than an hour. For each individual pressure indicators. For example, for those who are usually reduced pressure, normal overall performance can mean a hypertensive crisis. Therefore, experts use the term as the target blood pressure - a measure to which we should strive. For example, in patients prone to stroke, the target pressure should be slightly increased compared to the norm. And gipotonikov - on the contrary. 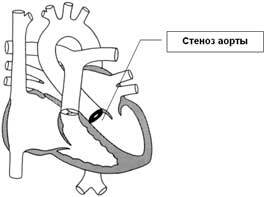 The diagnosis of "hypertension" mustbased on the results of repeated measurements of pressure (not less than 5 times a day, including at night and immediately after awakening) made on different days. With a slight increase in performance should be removed for several months. 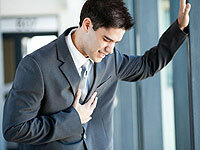 At risk - people with hypertension in the family and those who had suffered in his youth vascular dystonia. If you have the chance of high blood pressure or you have found the symptoms - start prevention! It is advisable to quit smoking, regularly move- Particularly useful running and swimming, limit salt, normalize weight, sleep at least 8 hours. Potential high blood pressure need to choose a profession that is not related to the nervous and physical overload. And, of course, the blood pressure must be checked regularly. If the disease already exists, it is necessary to do everything to prevent dangerous complications of the disease - heart attack and stroke: conduct consistent and appropriate treatment prescribed by the doctor. Why do young men die of heart disease? Spinal osteoarthritis: Disability is not for you!